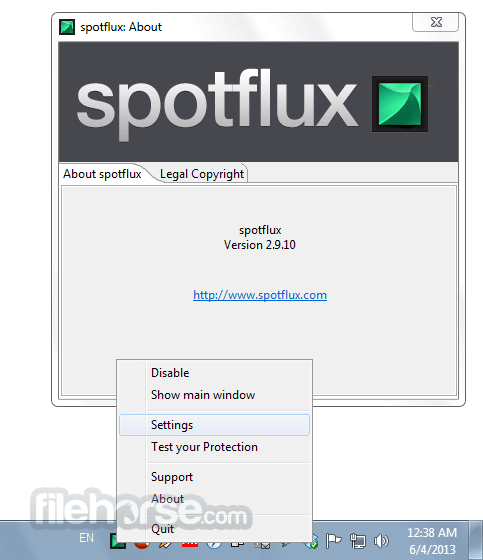 Spotflux is the best way to protect and enhance your internet connection. It performs millions of cloud-based real-time calculations, encrypts and compresses your mobile internet traffic. Spotflux works across all your devices. Encrypt your web browsing and protect your privacy and security! 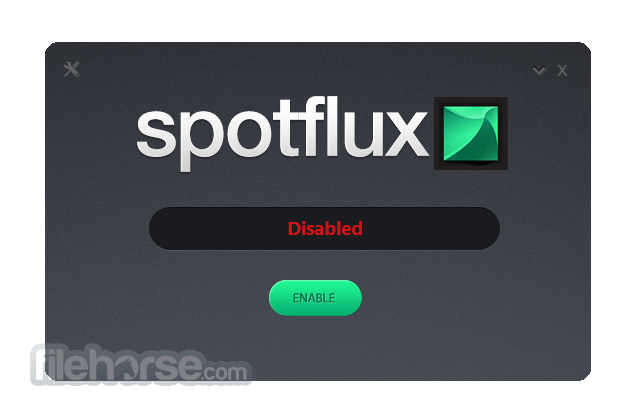 Spotflux eliminates things that might pose a threat to your identity or your data. It uses the cloud and doesn't slow you down. The threats and vulnerabilities out there are ever-evolving, and this technology is evolving and working just as hard to protect you. Spotflux provides a managed and trusted connection to the internet that immediately reacts to and protects against emerging threats and unwanted tracking that affect mobile devices and desktop computers. Engage & enjoy the internet like you always do. 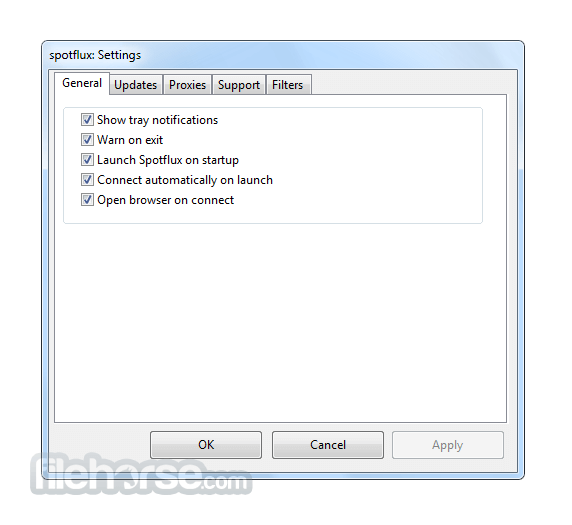 Spotflux installs quickly and easily, and takes care of all configurations and updates for you. Just set it and forget it. Security is just a click away. 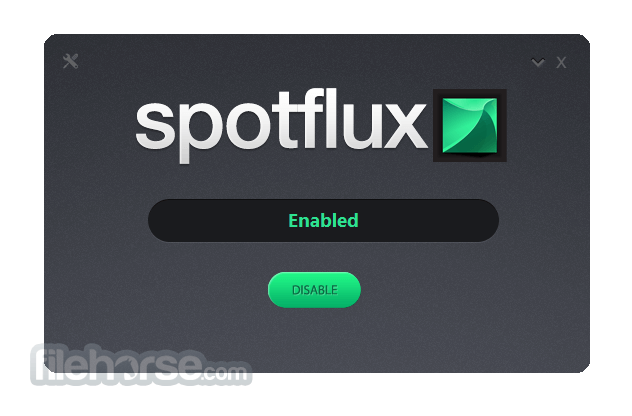 Once you've installed Spotflux, you'll never notice it again if you don't want to. Let us take care of the headaches. At home, traveling, or on a public WiFi – Spotflux encrypts and secures your connection, and protects your privacy while browsing. Spotflux continuously scans and protects your connection from inbound threats, such as malware and viruses. So YOU can take control of the internet. Cookies are great, but imagine them becoming invasive, taking over your kitchen or asking you where you've spent the night. Cookies just feel better in your belly. Spotflux don't believe in limiting or blocking content. Access stays open and unrestricted while Spotflux is enabled, so you can roam the web, free as a bird. Experience clean, ad-free browsing without tracking or targeted advertisements. By saving bandwidth and hiding your IP-address, your location stays private. Note: After many years of pioneering the consumer VPN market Spotflux will unfortunately be shutting down its operations by August 31, 2017.